The link value calculation variables are always changing. Some of the traditional link building tactics no longer hold value. Google is putting more value on freshness of links (Social Media, Blog Articles, Facebook, Twitter, etc). Google still puts value in authority, but the paid link companies have taken away some of the value from authority sites since too many authority sites sold link value through text link brokers. Raw number of links is still a good indicator of increased link value, but more is not always better. Another variable is the amount of external link endorsements the website that links to you has. The more link endorsements a website gives the less that endorsement is worth. Google also puts value in keyword phrases in the anchor text but again too many paid text links have reduced the value of keywords in anchor text. Something that is harder to fake is the theme of the website and web page offering a link to your website. Stick to the basics of link building just remember that the variables are always changing and it is your responsibility to keep up. With the Panda update, did Yahoo! Directory listings loose link value? In the past both the Yahoo! Directory and DMOZ directory were duplicated thousands of times across the Internet. Did this actually hurt directory listing links? I recently did a controlled experiment with a website and the purchase of a Yahoo! Directory Listing. I stopped building links one month prior to purchasing of the Yahoo! Directory listing, for $299. I have not seen any increase in rankings or traffic from the Yahoo! Directory listing purchase and it has been 3 months. Do Yahoo! Directory listings still give link value? Are the categories getting too filled and now all new listings are showing up on page 5+ of each sub-category? Even those at Business.com suggest that 90% of the clicks to external websites from Business.com comes from the top three ad units on every page. Those are purchased directly from Business.com. 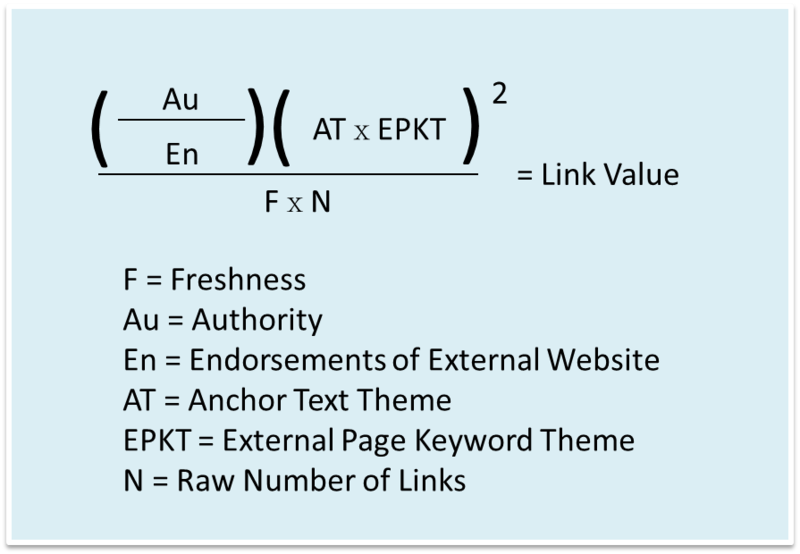 Link Authority is calculated by the amount of link value pointed to a website three links deep. It is not just about the website that links to you, but the next few websites that link to that site and so on. Since too many websites have created ridiculous amounts of links unnaturally, Google can track the raw number of links built and if unnatural will not give value to rankings. For example, getting a link from a blog that has that link located on every page of the blog. You would assume that more links are better, but one link on the home page is much more valuable than one link on every page of the blog. It goes without saying that if you have 1 of 10 external links from a website, you get more link value than if you are 1 of 100 external links. Whether you get 10x more link value is however not as clear cut. Google sees external links as votes, a vote in favor of an external website's authority. The more someone is willing to endorse another website the less that endorsement is worth, especially in the eyes of Google (concerning link value). Another variable Google puts a lot of value in is having keyword phrases in the link anchor text. However, too many people are building or paying for links with exact keyword phrases that they want to rank on in the link text. 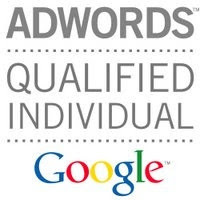 Remember that the keyword doesn't have to be exact, Google understands keywords semantically. 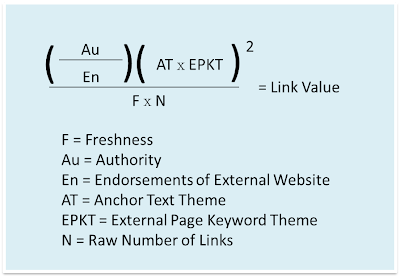 Even a keyword in the anchor text with the same theme will offer keyword ranking link value. The theme of the page that links to your website is almost as important as the keyword anchor text. The website and web page must be relevant to the theme of your website to offer any link value. Links are still the most important way to increase organic rankings. However, it is growing much harder to increase Google organic rankings because of irrelevant links, paid text links and large amounts of links. Your best bet is to get as many quality links from authoritative sites as you can, remembering that you need to continue to get new links to satisfy the freshness variable. This article is very good & informative.I have gain so much information from this blog.Thanks for the post.